Today’s post is inspired by one written by a friend-of-a-friend who I follow on Twitter. Her name is Lauree, and she’s a life coach, blogger, and soon-to-be-published author. She wrote today about how hard it can be to identify and appreciate the things we love in ourselves, and challenged her readers to make a list of 10 things they love about themselves. I thought this sounded like an interesting thing to try. 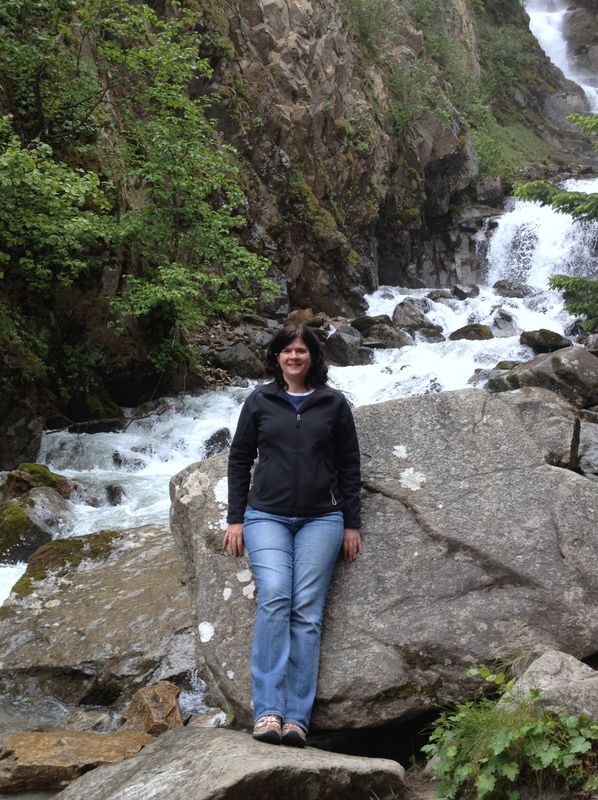 Me, traveling in Alaska last month. 1. I am an enthusiastic traveler. 2. I am an adventurous eater (and drinker). 3. I am a fiercely loyal – and caring – friend. 4. I am a good cook (and baker). 5. I am a fun auntie, with nephews who really seem to enjoy spending time with me. 6. I am not a pushover. 7. I give sensible – and generally fairly actionable – advice. 8. I have small, squatty hands that are exactly like my dad’s were. 10. I have pretty eyes. What about you? What do you love about yourself? Tell in the comments below… or (better yet) go share on Lauree’s post, because this was her idea! I like how you describe your (and your dad’s) hands. Loving what’s uniquely you and part of someone else too.